Dr. James A. Vette, DDS (Germantown) - Book Appointment Online! 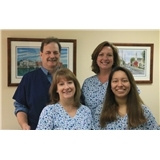 Dr. James A. Vette, DDS has been offering complete dental services to the Germantown, MD community since 1986. We provide comfortable treatment in a pleasant environment, and our staff offers quality and reliable dental care that you can count on. We take our time with each patient to give them the best dental care possible. We also submit insurance claims for patients and contact insurance companies about complicated treatment. Emergencies are handled. We have been serving Northern Montgomery County such as Germantown, Gaithersburg, Olney and Rockville for over 20 years. I really like this dentist and the entire staff. They are very easy to work with and very honest and accommodating.